Disney is continuing the trend of delving into live-action territory and they are moving ahead with a rebooted version of Winnie the Pooh, which will be called Christopher Robin. The movie will center on the boy from the A.A. Milne books, but all grown up. So who will be tasked with bringing the world of Winnie the Pooh to life? Naturally, Disney has tapped World War Z director Marc Forster for the project. The Hollywood Reporter broke the news that Marc Forster has signed on to director Christopher Robin for Disney. 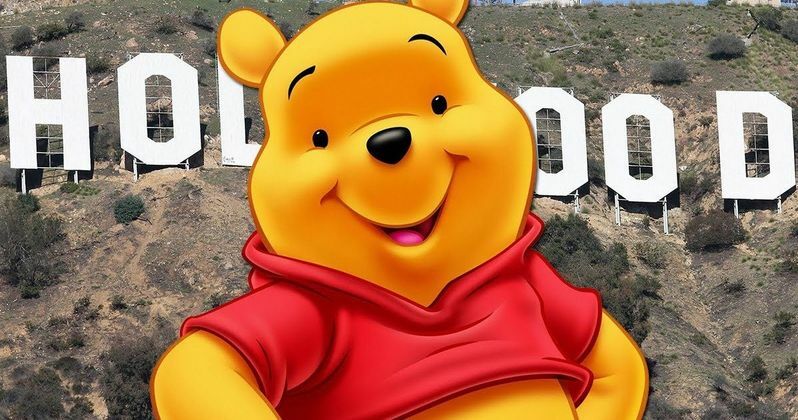 It may seem strange that the guy who directed both the James Bond movie Quantum of Solace and the Brad Pitt zombie movie World War Z is taking on a live-action Winnie the Pooh movie, but he does have a diverse resume. He also directed Finding Neverland and The Kite Runner. Here is how THR describes Christopher Robin. "The story centers on Robin, the adult version of the boy who in the A.A. Milne books shares his adventures with the animals of the Hundred Acre Wood. Robin has grown out of the joyful imagination he had as a young boy and is now a businessman who prioritizes work over his wife and daughter. With his home life on the brink, the last thing his life needs is the return of Pooh, who needs his help in finding his friends again. Robin has to find a way to help both sides or risk losing everything he holds dear." The news initially broke that Disney was planning this new take on Winnie the Pooh earlier this year, following the success of their new version of Cinderella as well as Maleficent. They are also planning a live-action version of Mulan, in addition to next year's Beauty and the Beast. The studio was very encouraged to move forward with these live-action adaptations, given the tremendous success of The Jungle Book earlier this year. The success of that movie also promoted Disney to green light a "reimagining" of The Lion King done in the style of The Jungle Book. Brigham Taylor, who produced The Jungle Book, is producing Christopher Robin with a script from Alex Ross Perry, who doesn't have any other credits to his name that are nearly as large as this. Kristen Burr will be overseeing this live-action Winnie the Pooh movie for Disney, but it will be Marc Forster's vision for it. At the very least, a guy with a resume that diverse is an interesting choice. Disney rarely makes any missteps these days, so it is fairly safe to assume they know what they are doing. Marc Forster most recently directed the drama All I See Is You, which is coming out next year. Disney currently hasn't set a release date for Christopher Robin, but with a director now on board the project should start moving forward. What remains to be seen is if this will be a tremendous success like Alice In Wonderland, which grossed more than $1 billion worldwide, or a bit of a failure like Alice Through the Looking Glass, Which only made $299 million. We will be sure to keep you up to date as more details on the project become available.